Peet's makes deal with Godiva to sell coffee in grocery stores. Tuesday was a sweet day for Peet’s Coffee & Tea Inc. The East Bay coffee company first announced that it earned $3.4 million in the second quarter, up from a profit of $3 million last year and then Peet's announced it inked a licensing deal with Godiva Chocolate. Peet's will begin distributing Godiva flavored coffee across the country in supermarkets. It will not serve the gourment coffee in its own coffee stores. "This partnership is an important step towards our long-stated vision to be the gold standard specialty coffee and tea company," CEO Patrick O'Dea said in a statement. "Godiva coffees will enable us to capture the leading position in the medium roast and flavored segments by offering a superior quality product backed by the strong flavor credentials of the Godiva brand name, expertly merchandised by our direct store delivery selling system." 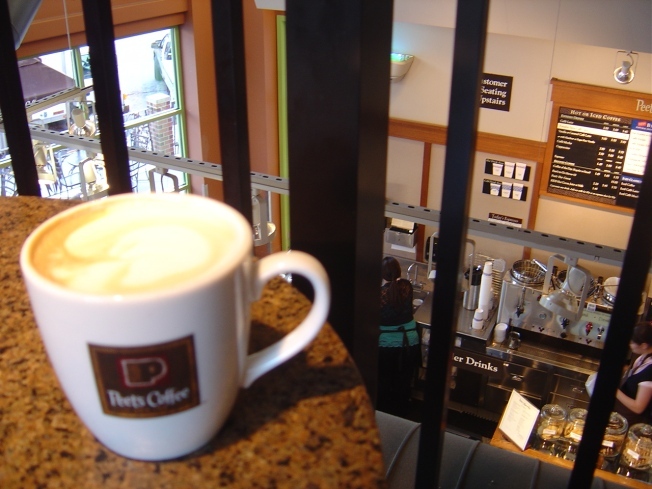 More than 8,400 grocery stories currently sell Peet's Coffee. Peet's did not announce when it would start selling Godiva coffee. Alfred Peet started Peet’s Coffee in Berkeley in 1966.